Where else can you sleep where US presidents have slept, swim where Marilyn Monroe swam and sip a tequila sunrise where it was created? Holding legendary status for more than 90 years, Arizona Biltmore sprawls over 16 hectares beneath a dramatic backdrop of red earthed mountains on the outer city limits of Phoenix. Renowned as one of the best examples of Frank Lloyd Wright-inspired architecture, the resort has always been a playground for the rich and famous. Even after 90 years, the grand dame of US hotels still embraces its own in style, luxury and faultless service. However, it’s also like being in a glorious star-studded time warp where any moment you can visualise Clark Gable walking through the door, Dean Martin bursting into song or Marilyn diving into her favourite pool. Although the Arizona Biltmore wasn’t specifically designed by Frank Lloyd Wright, the master of 20th-century American architecture, his influence is in every centimetre of the 16-hectare, 740-room resort. The work of one Wright’s ‘disciples’, Albert Chase McArthur, the hotel is renowned as one of the best examples in the world of Wright’s signature block-style architecture, a system where concrete is poured into wooden moulds and decorated with patterns on the outside surface. In the Biltmore’s case, around 250,000 of them. From the get-go, the hotel was revered by celebrities and socialites; it’s said the strict invitation-only grand opening in 1929 went for three days. So what – if anything – has changed? Except for changes of ownership (currently a Waldorf Astoria resort) and a few facelifts over the years – nothing. 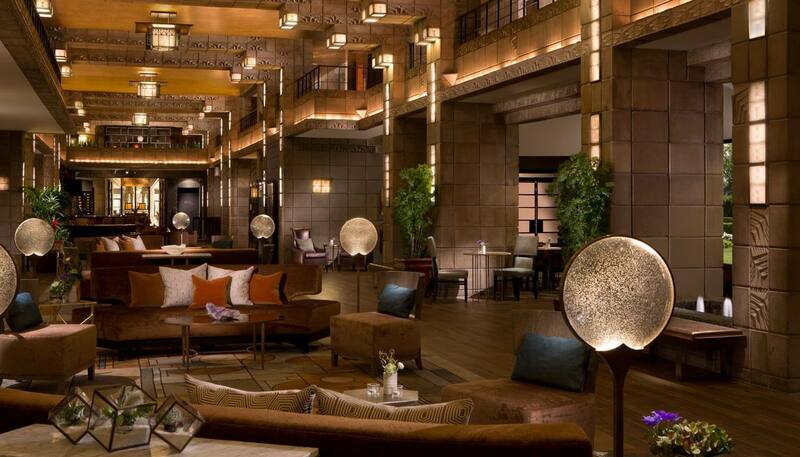 The Arizona Biltmore remains an American icon that draws people from all corners of the globe. After driving solo for five hours in blistering heat, I couldn’t have looked less like a movie star when I ‘swept’ into the lobby sweaty, flustered and totally overwhelmed. However, that didn’t stop the entire check-in staff from treating me like I was an Australian goddess. My worldly possessions were whisked away, cold drinks (plus copious refreshing towels) appeared and once I’d gathered myself together, I could focus on the grandeur of the space. And there was definitely a lot to take in. Earthy tones accented with shimmering touches of gold create an oasis-within-the-desert atmosphere in the lobby. Although naturally grand, the feeling is also one of being grounded. Small alcoves of cosy couches break the starkness of the block walls together with a huge stained-glass panel designed by Frank Lloyd Wright in vibrant colours and geometric shapes. Armed with a map, I opted to walk to my suite rather than being driving in a resort buggy, a good plan to get a feel for the resort. Luckily I wasn’t in a hurry, as it took around 15 minutes, mostly with my mouth opening and closing like a goldfish at the sheer beauty of the gardens and the architecture of the buildings. Plain and simple, yet palatial and sumptuous, my Resort Room – Patio Firepit exceeded expectations. Contemporary in style and tone, the detailed touches – toiletries made in-house inspired by the desert; a welcoming spread of fruit, nuts and sweets in small pots; a pillow menu, historic photographs of the resort hanging on the walls – added to the overall experience. Based on three concepts – ‘for your comfort, for your convenience and for your confidence’ –everything was easy to locate and use. No searching for power outlets, how to adjust the temperature, turn the TV on, etc. With plenty of space to spread out in addition to the king-size bed, the lounge area incorporated a desk and plush couch. The bathroom was also spacious and sleek, with a large tub to sink into, a separate shower cubicle and double vanity basins. In the evening, sitting out on my private balcony, looking out over the resort and the outline of the mountains in the distance was surreal. And although it was hot, I couldn’t resist pushing the button to light the firepit, imagining how beautiful it would be in winter. Clichéd in phrase, true in real life, numerous presidents have stayed at the Arizona Biltmore, so it’s fitting for the top suites to be named in their honour. With 92 square metres of floor space, the Presidential Suites are configured as a king bedroom, living room and dining area with a huge patio entertaining area. With an abundance of natural light (it’s Arizona after all), one space flows into the next, and in keeping with the understated elegance of the resort, interior tones are neutral. 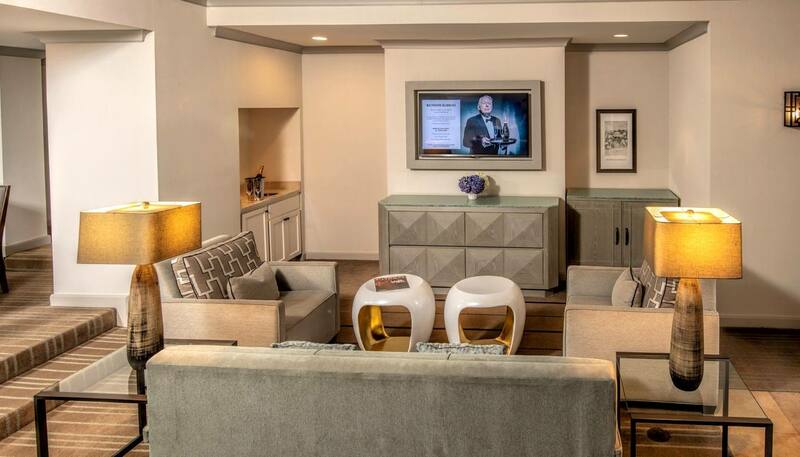 The suite also gives guests access to the Ocatilla Lounge, one of the places to be for cocktail hour or a quick breakfast. If eating with my eyes counts, I experienced many meals here. But the truth is that, due to a prior dinner arrangement, I only managed cocktail hour and breakfast. Both excellent. 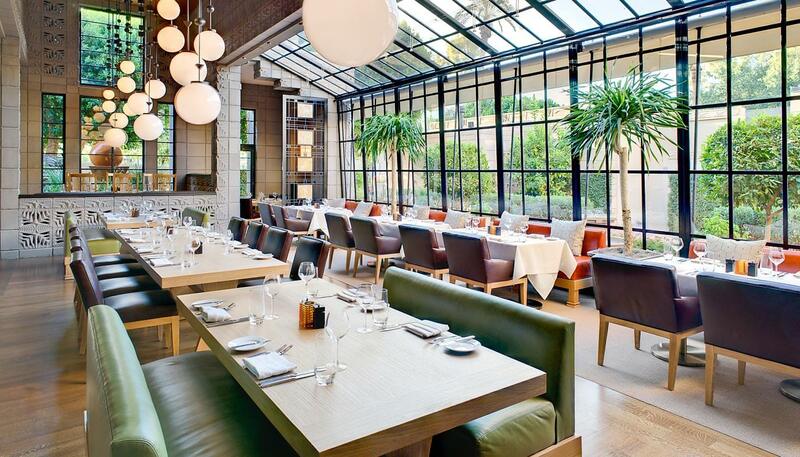 Wright’s is the signature restaurant where the menu focuses on a blend of American lodge-style gamey dishes like elk, pheasant, rabbit in addition to more contemporary options featuring seafood, beef and poultry. Sunday brunch here is legendary: a popular spot for Arizonians to spend a lazy few hours. With an indoor/outdoor buzzy vibe, Frank and Albert’s is the house restaurant with American-style food for breakfast, lunch and dinner. As a nod to culinary history, don’t miss the Waldorf salad (created in the original Waldorf Astoria hotel in 1893). The Mystery Room, the cave-like speakeasy dating back to the days of prohibition when a hotel scout positioned on the roof would flash a spotlight to alert drinkers if the police came. Imagine the deals that have been sealed on the two championship 18-hole courses that surround the resort. 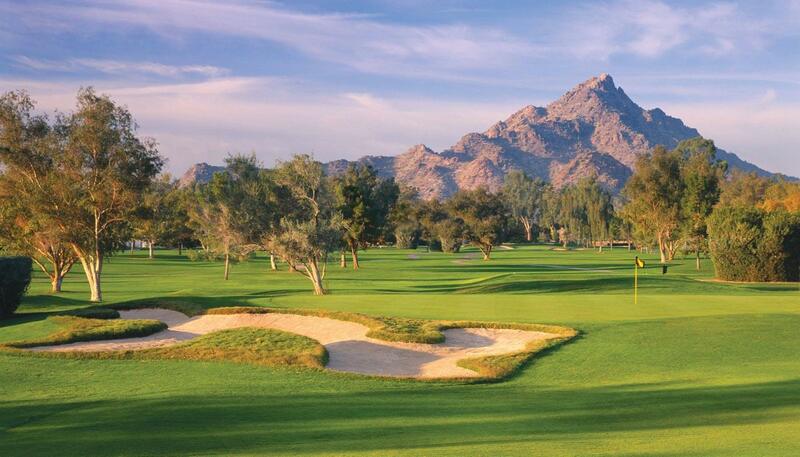 Over 50 years old, the Adobe course is one of the ‘grandfathers’of Arizona’s golfing scene and the younger Links course is considered a great challenge. Even with unlimited time, it would be simply impossible to explore every aspect of the resort, and according to the concierge, it’s common for guests to spend their entire holiday within the grounds. The hotel is also used extensively for conventions and special occasions, so be aware that some areas can be inaccessible at times. From the famed Gold and Aztec rooms (both with gold-leaf ceilings) to the photo gallery depicting the history of the hotel, sporting facilities, spa centre, restaurants and bars (don’t miss the Mystery Room), manicured gardens, life-size chess set (an original artefact) and resort boutiques, everything under the Arizona sun is rolled into this iconic resort. Personal highlight? The Calatina Pool, which was Marilyn Monroe’s favourite pool in the world and where Irving Berlin was inspired to write ‘White Christmas’. 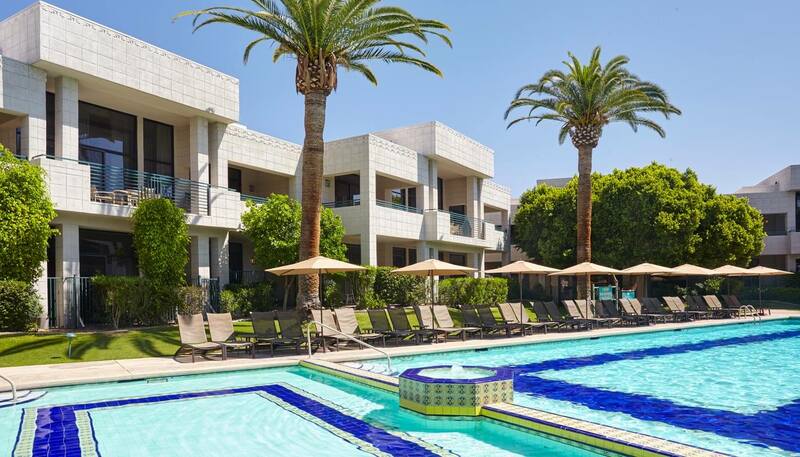 Massive private homes surround the resort and the location makes an excellent springboard to many attractions in Phoenix and the greater region. The winter home of Frank Lloyd Wright is close by and a must-do for architectural lovers, as is the Wrigley Mansion, built by William Wrigley Jr (of chewing gum fame) who owned the Arizona Biltmore in the early days. Costing US$1.2 million in 1930 as an elaborate home (complete with 12 bathrooms), daily tours are available and there’s also a fine dining restaurant. Further afield, ride in a hot air balloon, or on horseback, take an excursion through the Sonoran Desert in a Hummer or take a flight over the Grand Canyon. Shopping is great in Phoenix. Shuttle buses run to the Biltmore Fashion Park and Old Town in Scottsdale is home of over 100 art galleries and studios, as well as cutesy cafes and designer boutiques. On Thursday evenings the Scottsdale ArtWalk is a chance to wander through the galleries sipping on complimentary wine and snacks. 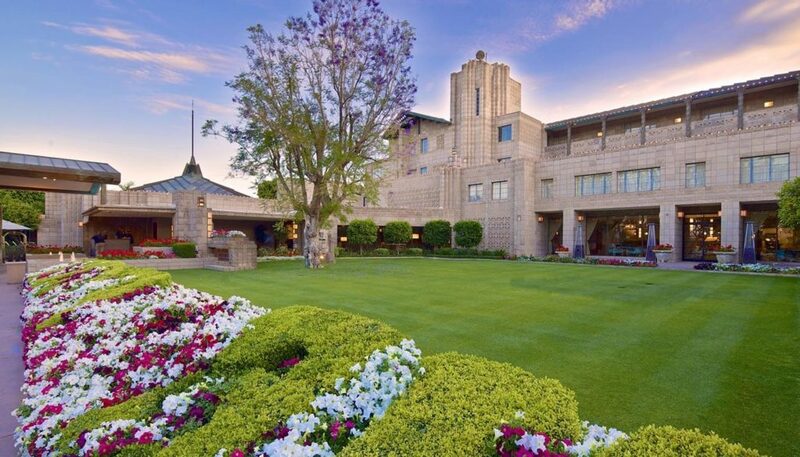 Not a place to rest on its laurels, Arizona Biltmore, a Waldorf Astoria Resort, consistently tops the best hotel, business-friendly, sport/recreation lists compiled by Condé Nast Traveler, AAA Four Diamond, U.S. News and World Report. Here it’s more a matter of spotting who isn’t a celebrity. To get a grip on the magnitude and history of the hotel, take one of the in-house tours. The walls could talk. Oh what stories they could tell. Although my time here was short, it’s the place that will always be one of those pinch-myself moments … ‘remember the night I stayed at the Biltmore?’ There are thousands of hotels throughout the world, but there is only one Arizona Biltmore. 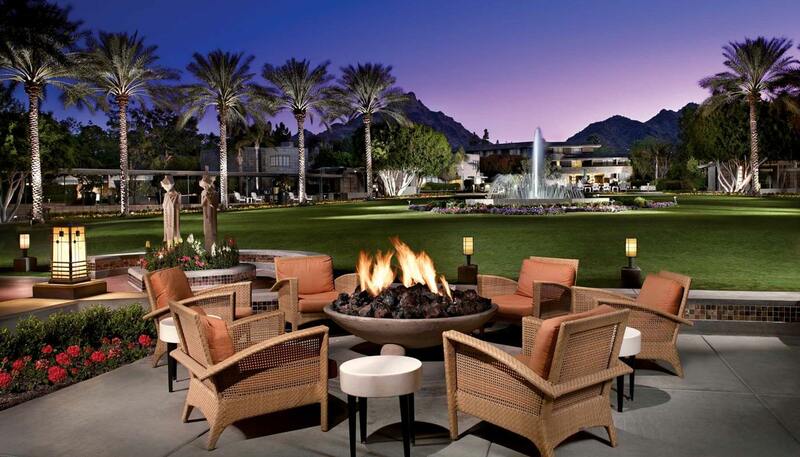 The resort is around a 20-minute drive from Phoenix Sky Harbour International Airport and easily found (with a GPS). Valet parking is available on-site. Private limo transfers can also be arranged.